Having your wedding makeup done professionally means you will be able to relax on the big day, sit back, and get pampered. This is one of the many reasons brides choose to work with Debra Johnson. 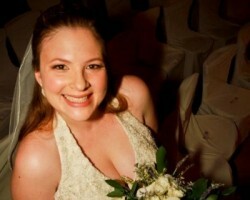 This makeup artist in Santa Ana, CA is available for weddings throughout California. This is not your average makeup specialist, Debra is famous for her work in video production with celebrities, runway models, red carpet events and she will even provide makeup lessons. Hiring her for your big day is the best way to guarantee a flawless look. Veronica Fensel is a top wedding hair and makeup professional with years of experience in the industry. She has trained in many different areas of beauty, which means she is incredibly flexible in the services and the styles that she offers. Veronica has special training in creating breathtakingly beautiful looks for brides that will last for the entire day and are completely waterproof. Brides can even enjoy a trial of their look for the big day to be sure it is perfect. Having your wedding look done by Evolve Salon & Style Lounge means looking and feeling beautiful on your big day without any of the stress that goes with getting ready. As Santa Ana makeup artists, each member of this team is ready to listen to you about your personal style and your vision for the wedding. From there they will create a look that you will love. 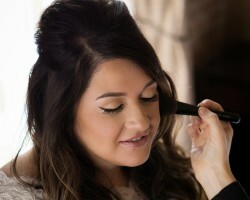 You can have an artist come to do the makeup of only the bride or for the entire bridal party. Donna Mee has been working in the industry for over 33 years. In this time she has built up a stellar reputation for her eye for detail and her natural talents as well as her knowledge of all things beauty. She has done everything from work with celebrities to provide bridal makeup throughout the state. At affordable prices, brides can hire this expert to achieve a flawless look for the walk down the aisle. With guaranteed results you cannot go wrong when you work with this artist. The owner and artist at Makeup by Catherine has years of experience playing with various looks and applying them professionally to brides and celebrities in the area. This artist has a flare for glamor so brides that are looking to stand out cannot go wrong by choosing to work with this professional. There is no need for permanent makeup when you have an expert to apply a look that will last all day and through the night time celebrations too. Reviews say this is something that makes Catherine the best at bridal makeup.